Note to Applicants: Due to the volume of applications we receive we are unable to provide individual feedback at initial application stage. You will therefore only receive feedback once you have reached the interview stage. 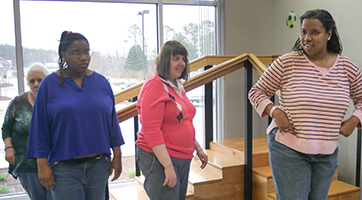 The Day Services Program provides a variety of services for individuals who have intellectual disabilities, as well as other neurodevelopmental conditions such as autism spectrum disorders, sensory processing disorders, and mental health diagnoses.